Introducing my latest pattern: Drop Everything! 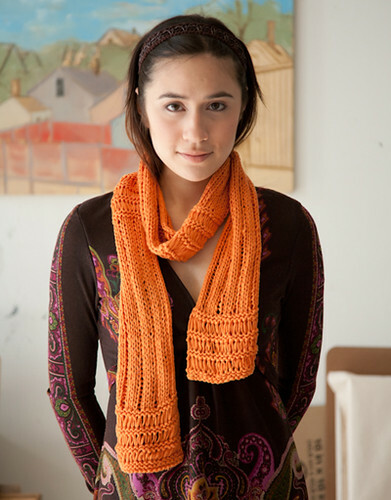 This dropped-stitch scarf is knit on large needles with ribbon-style yarn, so it works up very quickly. 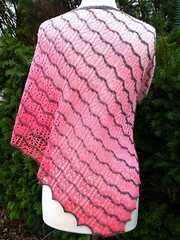 This pattern was designed especially for Classice Elite Yarn‘s free weekly web-letter. Available: free at Classic Elite! Inspiration: When I’m working on a new design, usually I have some idea what I want it to look like long before I settle on a specific yarn. Often the yarn informs the design, telling me as I knit swatches and prototypes what it wants to be. The finished pattern is very rarely exactly what I started out with in my mind. 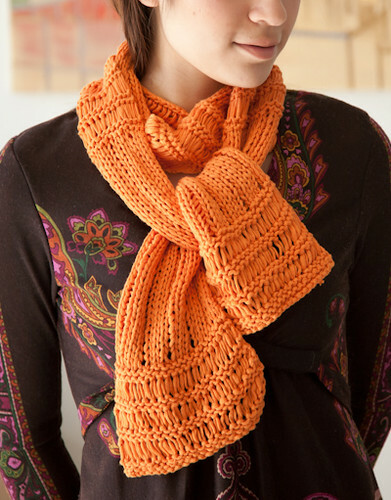 But for this scarf, the process worked in reverse on all counts. I began by fondling the soft ribbony goodness of Katydid at a local Knit Night with my friends. I knew the yarn’s unique flat nature could be hidden by knitting it tightly enough, but I didn’t want to hide it – I wanted to show it off! Design/Skills Needed: Drop Everything is worked flat. The horizontal dropped stitches are created with extra yarn-overs (dropped on the next row); the vertical dropped stitches are laddered down from the top of each section. 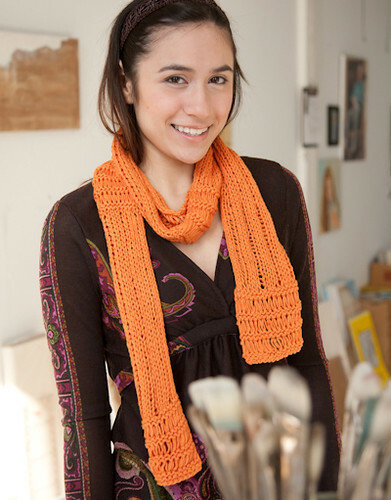 If you can knit and purl and are ready to try something a little extra, this scarf is within your skill set. This post came out just beautifully! Gorgeous photos! 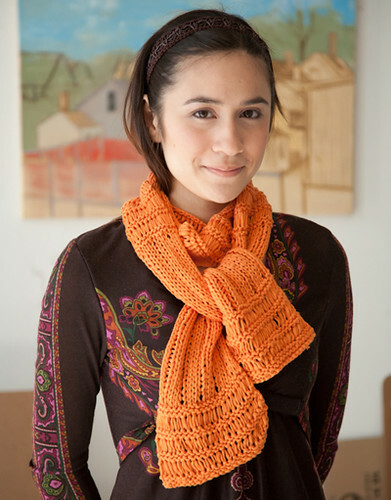 Vicki Stiefel just tweeted your pattern and I can’t wait to make it! Are you on twitter? If not give it a try and let me know if you do; I’ll follow you. I am on twitter — as woofbc. I’m so glad you like the pattern!